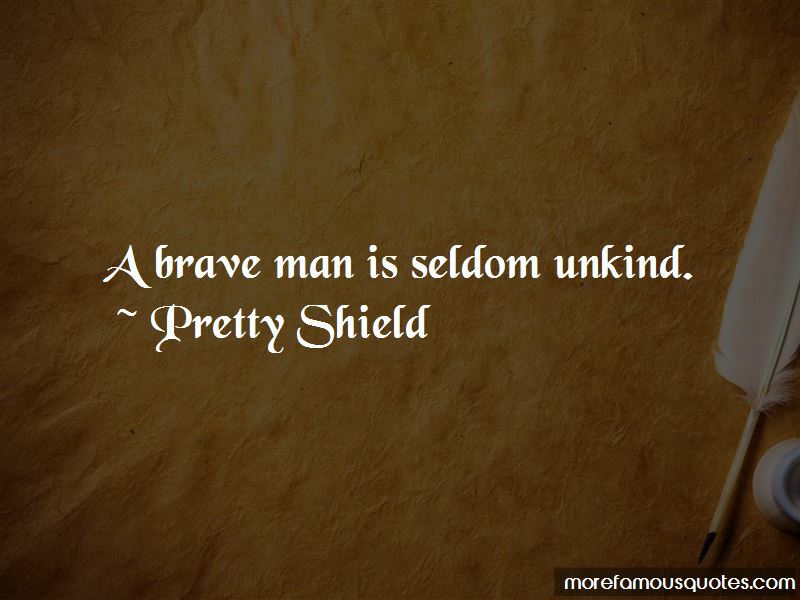 Enjoy the top 3 famous quotes, sayings and quotations by Pretty Shield. 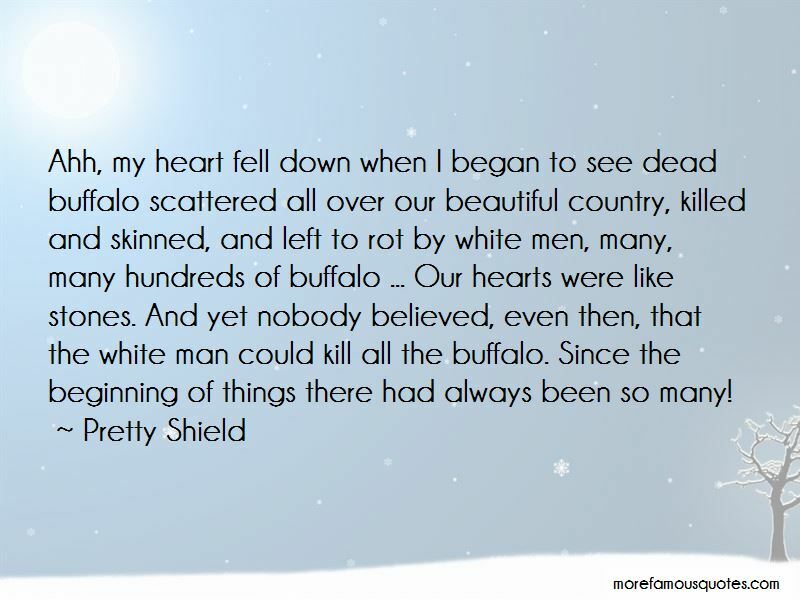 Ahh, my heart fell down when I began to see dead buffalo scattered all over our beautiful country, killed and skinned, and left to rot by white men, many, many hundreds of buffalo ... Our hearts were like stones. And yet nobody believed, even then, that the white man could kill all the buffalo. Since the beginning of things there had always been so many! A brave man is seldom unkind. Want to see more pictures of Pretty Shield quotes? 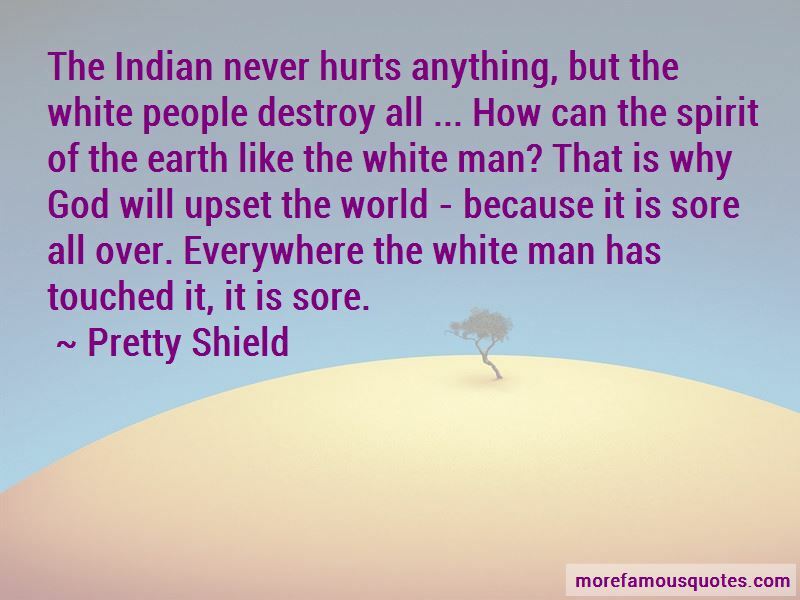 Click on image of Pretty Shield quotes to view full size. “I realize that I wasnt happy. I was content. Theres a world of difference between happy and content.” — Anonymous.